Bollywood actor Saif Ali Khan celebrated his birthday with family and friends in Mumbai on August 16, 2016. 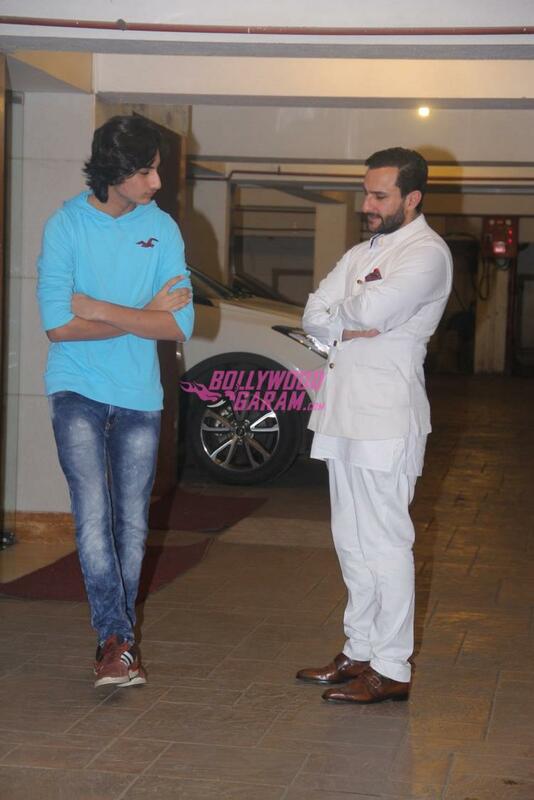 Saif was there to welcome all the guests at his bash. The bash saw the attendance of mother Sharmila Tagore, children Ibrahim Ali Khan and Sarah Ali Khan, Soha Ali Khan, Kunal Khemu, Karisma Kapoor and others. Saif recently announced that he is expecting a baby with wife Kareena. The official announcement was made in July, 2016.